This has been quite a week in the world of Wells the writer. Since due to family life sometimes quite extraordinary things seem to whizz by in the periphery, not receiving the full attention they deserve, I’m going to take a moment to reflect on the upward momentum that has happened all at once. I take this relatively quiet moment, even as I grapple with polishing the first three chapters of my first literary novel with the intention of beginning to send them out into the world and even as I pretend that I haven’t signed up to write 50,000 words between next Tuesday and the end of November. It began on Tuesday, often a day that goes under the radar, don’t you agree. Tuesdays are the middle child of the week I feel, even Wednesday has more of a profile… Anyhow. On Tuesday it was the launch of the Eighty Nine anthology from Literary Mix Tapes in which I have a story inspired by Cher’s If I could turn back time. I aslo made an apple sponge that day which the children agreed was DELICIOUS. On Wednesday I was delighted to see a wonderful piece on Flash fiction by Declan Burke published in the Irish Times. I had been able to contribute my thoughts on flash fiction to the piece and one of the projects I am working on Flashes of Sadness and Light was mentioned. I gave the bathroom a quick wipe over that day and bleached the sink. I took my second son swimming and dealt with a minor family crisis. On Thursday, once California woke up my story “Breaking News” was the story of the day on Metazen. It’s one of my favourite stories, written quite a while ago. I was glad it found a home. My daughter was off school that day and we went for a nice morning out. We also rescued a friend who’s car had broken down. Once I had picked up the older boys, things were busy. 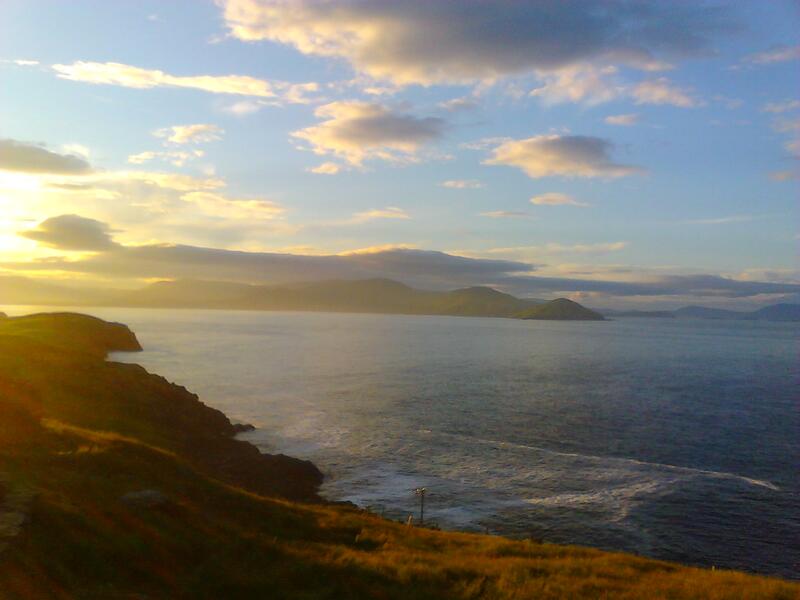 I did not notice until late that I had received a mail from Cill Rialaig Writers and Artists Retreat in Kerry telling me that I had been offered a weeks residency! This residency will enable me to work on my next novel The Exhibit of Held Breaths which I will begin during Nanowrimo. After this good news I helped my son with an essay on the Vikings. On Friday I got up very early as I was determined to finish a couple of flash fiction pieces for an interesting competition at the Irish Writers Centre where your inspiration was to be taken from paintings in the Frank X. Buckley collection. I had been struggling a bit with finishing them but in the early morning quiet I succeeded them and submitted them. My daughter’s teacher rang to say that my daughter wasn’t feeling the best. The 3yo and I went to pick her up early and later we picked up the boys and the Halloween mid term began. I include the day to day details to show how this writing progression is meshed into the fabric of everyday domestic reality. Now it’s back to business, more writing and submitting, minding the kids and tidying the house, many more adventures!